Marketing is, in a way, a lot like baseball. One good at-bat can erase a bad one, and in the world of marketing, companies get plenty of turns at the plate. Those at-bats can come in the form of television advertising, display ads, billboards, radio ads, promotions, Internet, social media, and on and on. In our view from the dadmarketing dugout, we’d like to say “we’ve seen it all,” but we all know that’s not true. For every mainstay like Jif Peanut Butter – who can’t seem to make any hitting adjustments despite facing different pitchers (customers) which it used to encounter decades ago – we find new players and new attitudes infusing the marketing game. Those fresh approaches to the game are called game changers, and our latest marketing discovery (right) could be the best magazine advertisement of all-time, but at the risk of hyperbole, let’s at least declare it a solid walk-off homer for the ages. Let us reintroduce you to Plum Organics, a company who competes in the Baby Division. For most teams in this group, marketers commonly like to play defense, or at least conservatively at best, by only dialoguing with moms in its messaging. Rather than taking new, inventive approaches to the game, these teams recoil, shy away and almost shrink when it comes to the plausible notion that dads raise children in today’s world. Most of these teams would rather play the game the same way it has always been played, and stick to a formula that it believes is safe. We wrote about Plum Organics back in January and it wasn’t all favorable. But today, after we encountered its latest magazine display ad, we found it has unveiled a renewed swing with an energetic approach that finally matches its overall fashionable style. 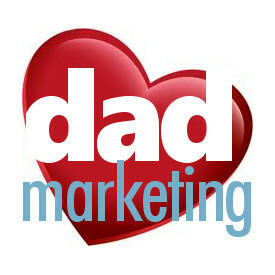 In our general assessment of marketing to dads, we’re not looking for total dad inclusion to the point of mom exclusion – only equality in parenting to where no one is left out. Neither gender should be discriminated against. Both parents count. 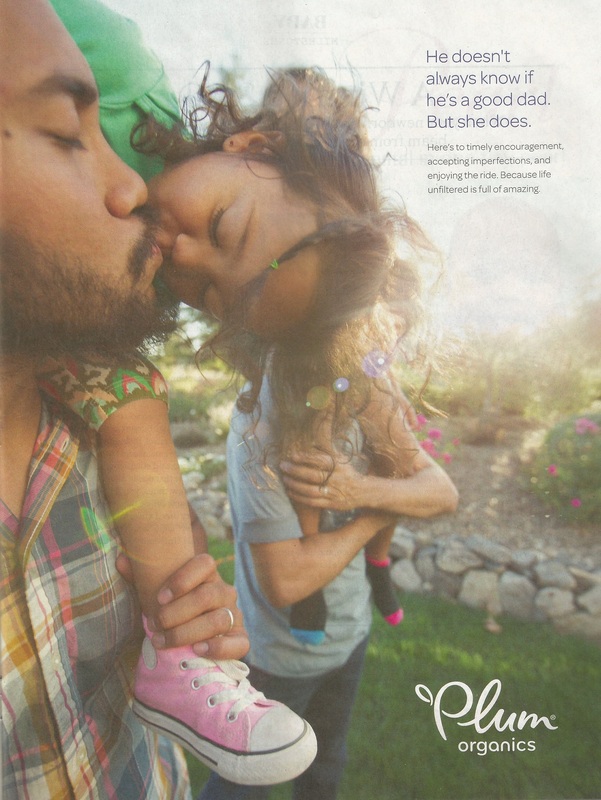 Plum Organics’s latest ad, where a dad is prominently featured, pulls off a clear message that dads unequivocally are parents, too. Take note that another parent, presumably mom, is also featured in the background holding a child. But in this ad it’s dad who takes the spotlight, and it works. Wonderfully. In fact, we love everything about this advertising masterpiece: its layout, its font selection, its soft feel, its simplicity, its captivating photo upon which nearly any dad can relate. We embrace it all. 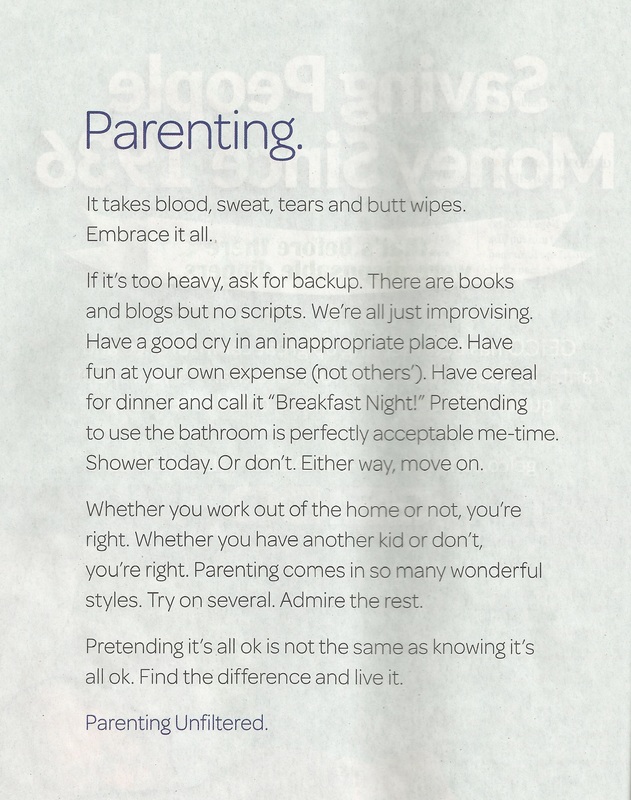 The continuity continues on its website (it always has), as well as robust use of the ever-nifty, super-solid #ParentingUnfiltered hashtag. Why couldn’t Similac use such an inclusionary hashtag? Why can’t Amazon Mom consider a unified name? Why can’t Jif step up to the plate with a new attitude? Here’s to the marketers of Plum Organics, whose sweet swing instantly put it among the very elite of Major League Marketing, ensuring optimum business operations where it counts, making it attractive to buyers of all shapes and sizes – and genders.